Staffing First is happy to continue offering our SPECIAL of the MONTH to our clients throughout Phoenix and its surrounding areas. November – for every placement made with Staffing First, we will provide a full Thanksgiving dinner to a family. 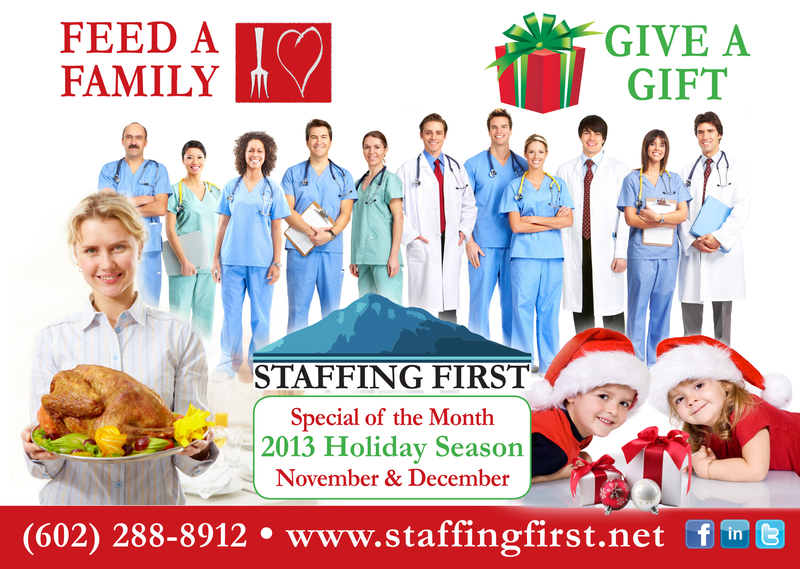 December – for every placement made with Staffing First, we will give a gift to a child. As we provide you with great candidates for any of your open positions, together, we will bless those within our community that wouldotherwise be without. Call us today at (602) 288-8912 and let us help you get a great candidate for your open position!